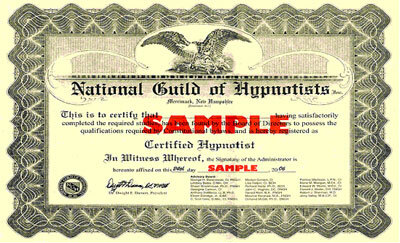 PLEASE NOTE: We are starting a new hypnotherapy certification class. Petra Hypnosis has been providing hypnotherapy one-to-one client sessions and conducting hypnosis training courses long before the hypnosis and hypnotherapy field became known as a popular alternative mental health care option in Singapore. We are considered one of the leading pioneers in the hypnosis and hypnotherapy field in Singapore. Fauziah Shah, MA, HBCE, BCH, CI, CPHI is a Board Certified Instructor with the National Guild of Hypnotists (NGH), the oldest and largest hypnotist organization in the world. In addition, Fauziah teaches the 5 PATH Hypnotherapist Course authorised by California State registered school, Banyan Hypnosis Centre. Fauziah is also a Master Trainer with IACT and her hypnosis training centre is an IMDHA approved school. Fauziah is one of the very few select NGH Board Certified hypnotists in the world. Fauziah is the founder and director of Petra Hypnosis & Training Centre. She is also trained in counselling, clinical hypnosis, interpersonal psychotherapy, trauma management and somatic healing, energy psychology, audiblox mind training, spalding method, Reiki, 5 PATH Hypnotherapy, 7th Path Self Hypnosis, EFT, Therapeutic Quantum Awareness, Quantum Touch, and Family Constellations amongst others. She graduated from the National University of Singapore with a Bachelors degree in English and History with a minor in Political Science in 1987. She then graduated from the same university with a Masters degree in English studies in 1991. Her research focused on the language acquisition of children and how to help children progress in their linguistic skills despite their learning disabilities. After working as a school teacher with the Ministry of Education, Singapore for many years, she resigned from mainstream teaching and set up a private school called Petra Education Centre. Having dealt with the academic achievement of students, both children and adults for many years, she realized the importance of mental and emotional stability and well being. She found that students who are emotionally stable perform better than those saddled with emotional challenges. That was when she started looking for ways to enhance her ability to help the students not only academically but also mentally and emotionally. That began her journey into the field of hypnosis. Of utmost importance to note for potential students – Fauziah’s experience as an educator for a significant portion of her working life prior to being a hypnotherapist. She knows how to teach, and she understands her students’ needs. Petra Hypnosis always over-delivers. All our students are pleasantly surprised when they realize that they get more value for the money they invest in our training! Our full-time hypnotherapy certification courses come with after course support. Read This Book Before You Spend a Cent on the Fees! We will never sell or share your personal information with outside organizations. The increasing pace of today’s life causes people to experience stress, fears and anxiety in a way that has never been experienced before in previous generations. Not everyone is equipped with the knowledge or skills necessary to handle life’s difficult burdens. A recent Guardian article reported that millions of people today are making themselves ill because of growing levels of stress. The economic downturn has seen a spike in a host of issues: fears over job security, family issues, depression and suicides are just some of the difficult issues in society. This is where mental health care professionals come in – from the psychiatrists to the therapists to the social workers. However, the demand for mental health care today far outweighs the professionals that available. The professional hypnotherapist provides a much needed service in today’s society – with natural and safe healing techniques to deal with many of society’s emotional and mental health issues. The hypnotherapy profession is a recession proof career option. People will need always need professional therapeutic help – be it during good times, or bad times! You will help others take control of their lives. You will run a successful and thriving business in field where there is demand. You will join the ranks of respected mental health care professionals. Hypnosis is a state of the mind that is relaxed enough to be suggestible so that changes can take place in the subconscious mind. This is because the subconscious mind is non-selective and non-critical so it is receptive to the subtle power of suggestions. In a nutshell, we can say that hypnosis is an altered state of heightened suggestibility. Hypnotherapy is the use of the hypnotic state to solve problems. Hypnotherapy enables one to change habits, reduce stress and achieve goals – much more easily than one can in a state of normal awareness. It has been used for thousands of years to help people with a wide variety of mental and physical challenges. And there are many more beneficial applications of hypnotherapy! What Is Hypnosis? A complete technical and simple explanation of hypnosis is explored. Concepts of primary and secondary suggestibility are introduced. What is Hypnotherapy? Learn how hypnosis can change lives in ways that willpower alone cannot. Preliminary Suggestibility Tests. The purpose and types (authoritarian and permissive) are discussed, demonstrated and practiced. Recognition and Classification of Subjects An in-depth discussion of the qualification of subjects, including common fallacies we encounter, occupational susceptibility, age and susceptibility of highly impressionable and emotional people. Assessment, Goal Setting and Reinforcement This lesson provides the Hypnotherapist a structure for conducting the pre-hypnosis interview. Learn how to obtain useful information that can be used during the hypnosis session to make your sessions successful. Uncovering Techniques The rationale for using regression techniques is discussed. Demonstrations include affect-bridge, date and age regression, and automatic writing. How To Hypnotize A three-step classical hypnotic induction procedure, plus rapid and instant inductions will be taught and explained. The techniques are demonstrated by the instructor and practiced by the students. Methods of Emerging From Hypnosis In addition to learning how to emerge the subject from hypnosis, additional techniques are shown, that can make this the most powerful part of the entire session. Imagery and Hypnosis Through case studies, role play activities and illustrations, the practical applications of using imagery in conjunction with proven ego-strengthening techniques are explored and practiced. The First Session with A Client The timing and structure of the first hypnosis session with a client is outlined and practiced. How to explain hypnosis to the client and which induction method to use. How to make almost anyone hypnotizable through proper preparation. Session Two, Three and Four with a Client Participants are taught to structure all additional sessions with clients, including the use of 5-PATH® and 7th Path. Your Hypnosis Practice – How It Should Be Structured The varied possibilities and options open to enhance a profitable hypnosis practice are explored. This includes how to start, expand and market one’s private practice. The methodology and structure of developing a teaching practice, and marketing one’s hypnosis programs. Working on Spiritual Issues Our process takes into account the whole person and the course covers how to handle the unusual circumstance of spiritual issues impeding success. 5-PATH® is a thorough multiphase approach which is designed to uncover the issues and utilize some of the most powerful hypnotherapeutic tools, including Direct Suggestion, Age Regression, Forgiveness Therapy and Parts Therapy, applied together in a systematic, reliable and highly effective process. The above course outline is part of a comprehensive course. You will learn how to consistently get your clients to regress to the problem and neutralize it. You will also learn how to reduce the problem of false memories by keeping your sessions contamination free; learn how to update hypnotic scripts to make them more powerful. You will find out what part of the hypnosis session is the best time to give hypnotic suggestions. You will be introduced to Parts Therapy, Forgiveness Therapy, Informed Child and Informed Adult Therapies (structured process of 5-PATH®). Also, you will learn how to work with difficult clients who believe that they cannot be hypnotized and have failed with other less well-trained hypnotists. 15. One year membership to NGH and accompanying benefits such asreceiving the Hypnotism Journal and Hypnogram which contain latest updates on hypnosis and hypnotherapy. These would be posted quarterly to your mailing address. Foreign students are most welcome. 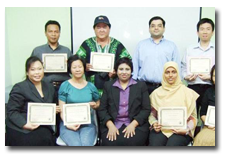 We have had students from Malaysia, Indonesia, India, the Middle East and Japan attend our hypnosis certification courses. We will gladly assist our foreign students on helping to source for suitable accommodation for the duration of the course. The course fees do not include the cost of accommodation, but we will liaise with hotels and apartments in the vicinity to get the best rates for our foreign students.